On behalf of THURGOOD MARSHALL MIDDLE SCHOOL and serving as Principal of this great school, I would like to induct our sixth teacher candidate into TMMS Hall of Fame. 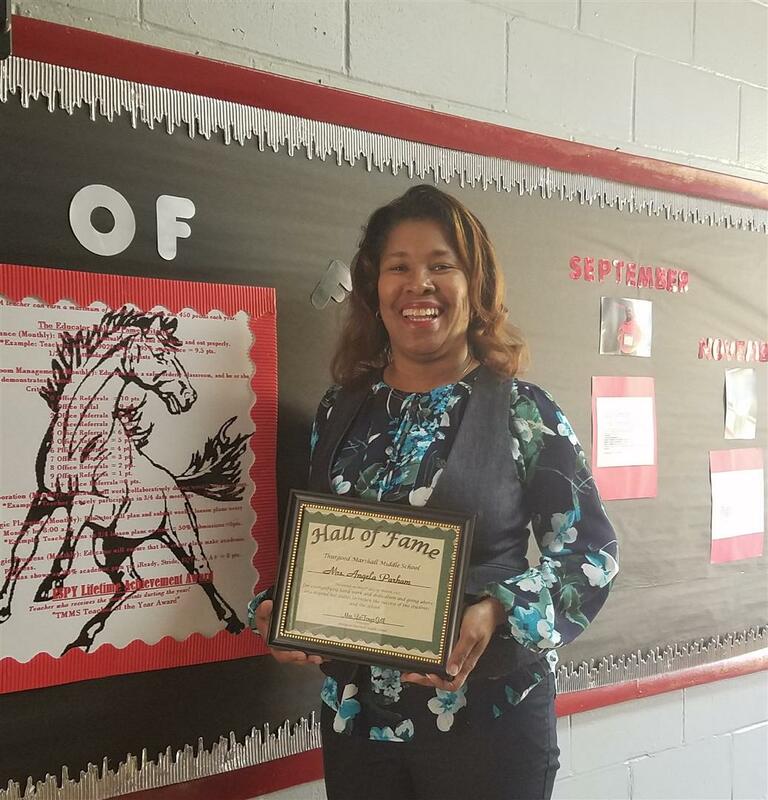 The February 2017 Thurgood Marshall Middle School Hall of Fame Award goes to Mrs. Angela Parham. CONGRATULATIONS Mrs. Parham for earning this award!